A medical aid supplies project conducted in partnership with Care Convoy USA to deliver critical aid supplies to Kurdistan. Care Convoy collects surplus medical supplies from across the United States and distributes them globally to areas in need and has teamed with us to provide social-centric aid to suffering populations in Kurdistan. Future projects developments are underway for global expansion! An awareness and support project aimed towards securing assistance for a young, female Yezidi IDP in Kurdistan who is suffering from hereditary medical conditions and other associated complications due to lack of treatment. Hanin Salo and her family became IDP’s after ISIS drove them from their village just outside Shangal. The 1st NAEF wishes to see the Canadian Government take the lead in providing aid to this young girl and her family, in the meantime we ensure she has at minimum the basic medical care and supplies she needs. Dedicated programs designed to help Yezidi boys recover from the wounds of indoctrination and radicalization and to live a full, peaceful, and happy life. Best practices and lessons learned throughout this project will go towards helping better inform current and future research into youth de-radicalization. Regional Engagement Development and Integration, and Kids Are Powerful programs form part of a comprehensive Counter and Preventative Violent Extremism concept and are designed to build and harness local capacity to better engage, develop, and integrate common goal programs, projects, and partners for enhanced efficiency and impact. Assisting to increase medical aid and medical surge capacity in Yezidi regions of Kurdistan: Walk-In Clinics, General Practice, Emergency Services, Psychological Services, Tele-medicine, and other medical service and development functions. Short-term Tanzania-based medical development project. 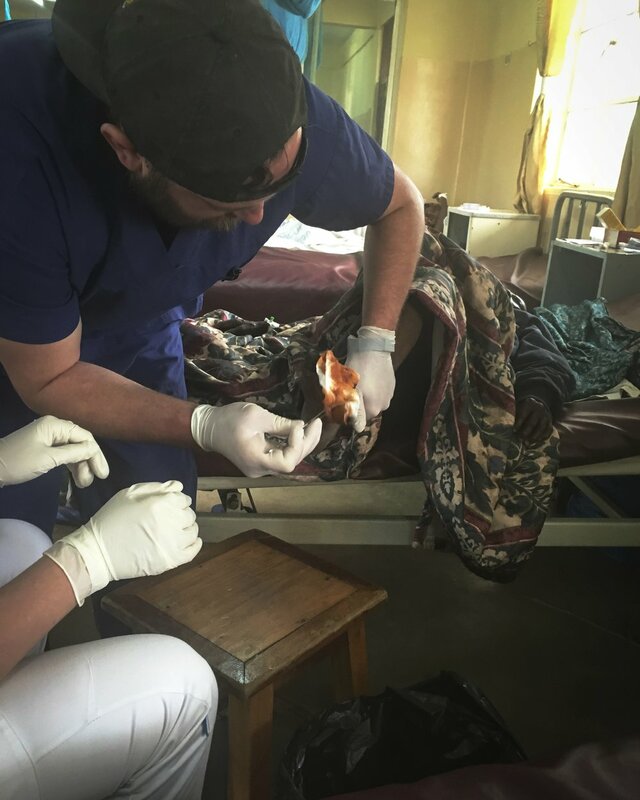 During summer 2016 a 1st NAEF medical development member assisted St. Joseph’s Hospital in Moshi with capacity analysis, services planning, patient treatment, neo-natal development training, and medical skills instruction.